A groaning holiday table at Lyndhurst in Tarrytown. Please forgive a bit of bragging, but after the huge success of our Sleepy Hollow Halloween Tours, we are proud to now offer our Magical Mystery Holiday Tours. 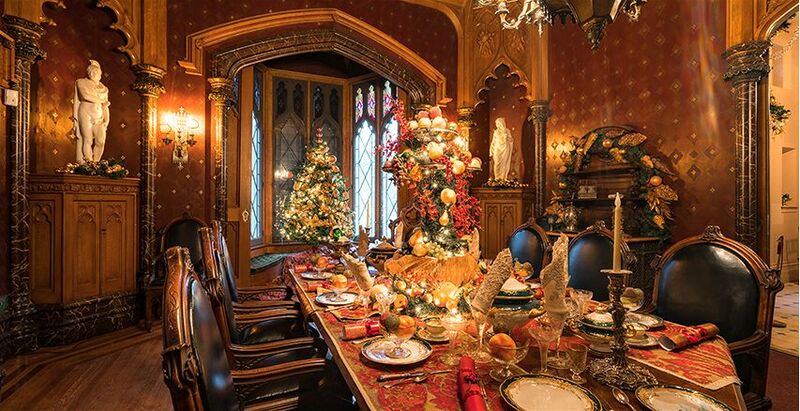 We'll travel back in time to enjoy the magic and mystery of the holidays with one-day getaways to magical Tarrytown and mysterious Sleepy Hollow, New York, that include holiday cheer, sophisticated eats, magical theatrical experiences, gift hunting, and the joy and peace that only a small-town holiday can bring. 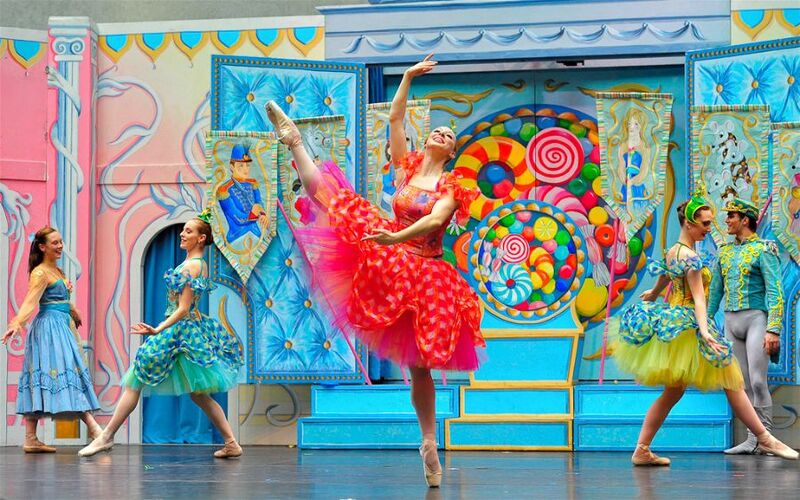 New York Theatre Ballet performing The Nutcracker at the historic Tarrytown Music Hall. 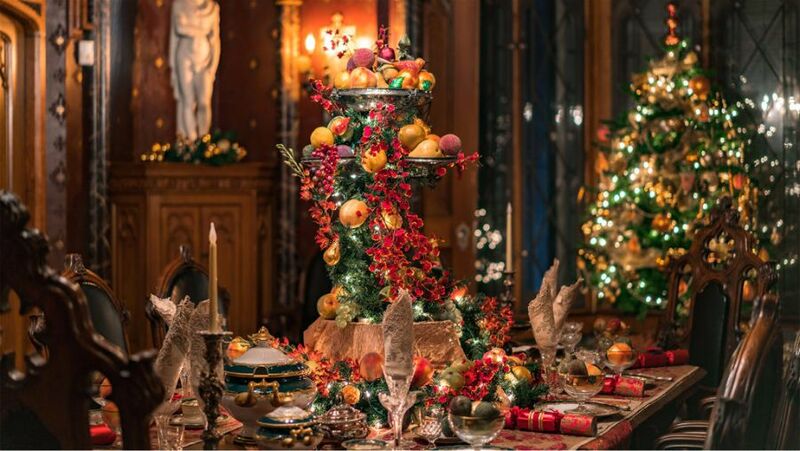 We’ll visit beautiful Lyndhurst Mansion in Tarrytown, its halls decked in their holiday finery, for A Very Duchess Holiday Tour, described as one of the “Ten Best Historic Holiday Tours” by USA Today. We pay homage to Anna Gould, the Duchess of Talleyrand and Lyndhurst’s final owner. We view the rarely seen children’s toys, holiday dishes, silver, jewels, and clothes that belonged to the Duchess in vignettes of holiday presents and baubles. This is a once-a-year opportunity to see many of the Goulds’s glittering possessions that are usually tucked away. Jonathan Kruk retelling "A Christmas Carol" at the Old Dutch Church in Sleepy Hollow. Photo Tom Nycz. In Sleepy Hollow, you’ll experience the tale of Ebenezer Scrooge like you never have before! We’ll nestle into the historic Old Dutch Church and let master storyteller Jonathan Kruk, complete with musical accompaniment, regale you with his adaptation of this Charles Dickens classic in Dickens’s A Christmas Carol. What the Dickens? Mr. Dickens Tells a Christmas Carol at Lyndhurst in Tarrytown. The historic Tarrytown Music Hall. Each day is unique so please check our detailed schedule. Only 6 spots are available per tour, so reserve by November 15 to save your spot. We guarantee you a magical experience you’ll never forget! All decked out for the holidays at Lyndhurst in Tarrytown. Speaking of planning ahead, for those of you considering your 2018 travel plans, we are offering Early Bird Pricing until November 15 for our Picasso’s Pyrenees Tour in May and our Papa’s Paris Tour in June and save $520-$670 off each tour. That’s only six months away. Book now and have a unique and fabulous vacation to look forward to!